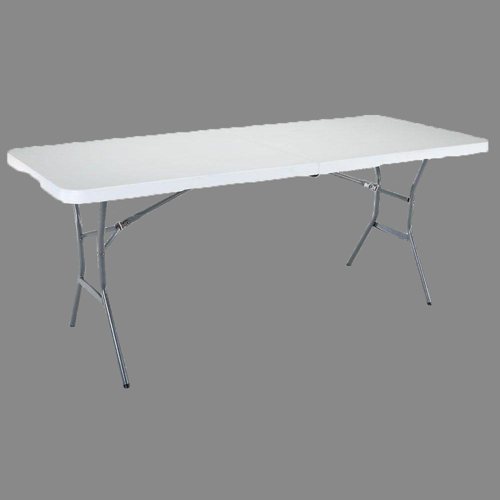 Our tables are white and 6-feet long. They can fit up to 6 chairs. Half the price when rented with a bounce house!